Located in the very southwest of England, Somerset is a piece of beautiful countryside and this luscious region is situated next to Wiltshire, Bristol, and Gloucestershire. Furthermore, much of the greenery in this region can be attributed to the Bristol Channel and Severn Estuary while the Avon River is also nearby. Somerset remembers some of England’s oldest pieces of history, going back to the Paleolithic times with the remnants scattered all over the county. Somerset’s remnants also witness about the presence of Romans, Celts and Anglo Saxons in this area. 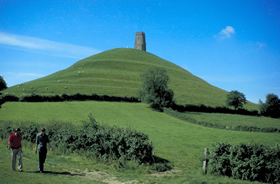 Overall, there are around 500 ancient monuments across the county. Among many locals who have left a mark in history, the Great King Alfred was at the forefront of the Civil War in England. Speaking about the history, we cannot skip Bath, an iconic Georgian city, a major tourist attraction and an UNESCO World Heritage Site. Taunton is the main town in Somerset and a rather unassuming place in contrast to the major centres in the regions nearby. However, the famous hills of Mendip, Quantock, and Blackdown dominate the landscape while Exmoor National Park is another large reserve with nature can flourish. 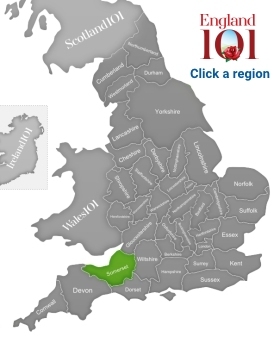 With a combined area of 4,000km2, Somerset is also a very densely populated area with almost one million people living in the towns and surrounding areas. 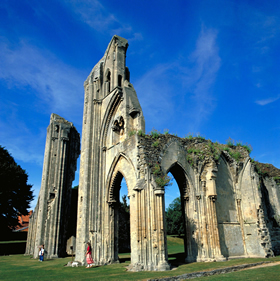 While many associate Somerset with the famous Glastonbury Festival, visitors will often venture to this region to visit some authentic countryside. Somerset is home to a traditional agriculture industry but. surprisingly, there are also several industrial parks which feature technology and other modern businesses. 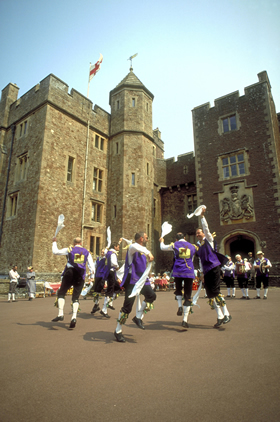 Tourism is another important industry in the region, and for this reason, Somerset has a particularly low level of unemployment compared to the rest of England. Recent studies have also shown that this region offers a slightly higher standard of living than most rural areas in the country. While it can get snowy in Somerset during the winter months, the climate remains temperate for most of the year. In this regard, the region occasionally experiences mild and wet weather, with an average temperature of ten degrees Celsius and a considerable amount of rain which is the result of depressions from the nearby Atlantic Ocean. Being very progressive throughout the history, Taunton was England’s first town with street electricity. Speaking of electricity, the electricity experiments conducted at Fyne Court inspired Mary Shelley to come up with Frankenstein’s monster. The Tarr Steps near Winsford is believed to be Britain’s oldest walking bridge, dating back to 1000 BC. Somerset is also home to England’s only moated castle (the Nunney Castle). Walking through this county, you may come across many other tales and places telling a unique history. 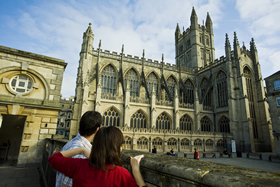 A couple looking up at the historic Bath Abbey, the last great gothic church in England, from the Roman Baths in Somerset. A couple walking across a field below Glastonbury Tor, a place associated with many myths and legends. Morris Dancers Victorian Festival, Dunster, Somerset. 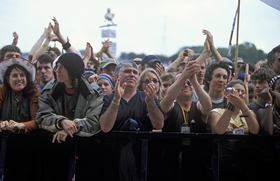 Older members of the audience enjoy the performance just as much as the younger ones!, Glastonbury, Somerset.